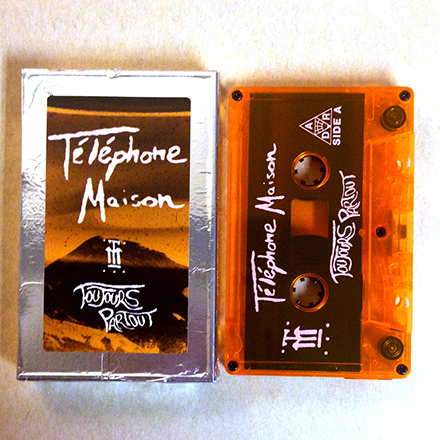 Hey, those foil-sealed Toujours Partout tapes by Téléphone Maison look sharp. But how do you get the nifty orange tape out without entirely destroying the nifty shiny packaging? It’s actually pretty easy, just follow these steps. Update! A fan in the Netherlands has made an actual unboxing video for this release. If you don’t have one, go HERE, to our Bandcamp page and order one. 2) You’ll also need something sharp. 3) Find the top of the cassette box. It should be the side with the sticker. But I’m not comfortable guaranteeing that. 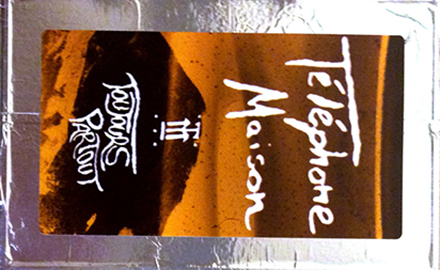 Also, the opening of the cassette box should be to the right of the sticker. Again, I’m not going to guarantee that’s always going to be the case. So look for a little indent like the one indicated above. 4) Using your handy slicing tool, make an incision along the top edge, tracing three sides of the box. 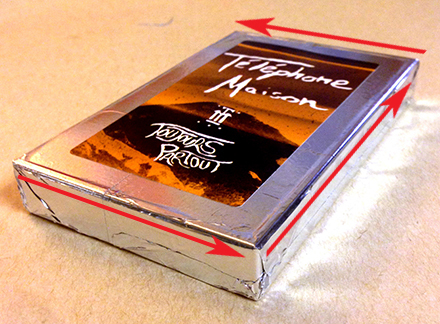 If you do this reasonably carefully your Toujours Partout should open like any other cassette. 5) Place cassette in player and let your mind melt. 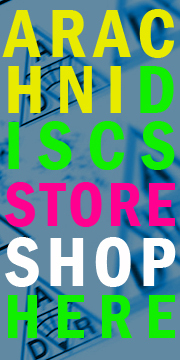 You are currently browsing the ARACHNIDISCS RECORDINGS blog archives for March, 2014.